Most ankle ligament injuries heal with non-operative treatment. If the ligaments don’t heal properly it can lead to chronic ankle instability. This can manifest as recurrent sprains, avoidance of uneven surfaces, apprehension and occasionally pain or discomfort and swelling. The first-line treatment for chronic instability is usually physiotherapy. If the symptoms persist despite conservative treatment, you may be a candidate for surgery. 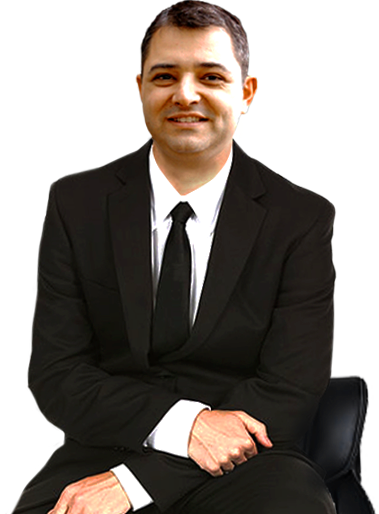 You will need to have a general anaesthetic and local anaesthetic. Antibiotics are administered intra-venously. 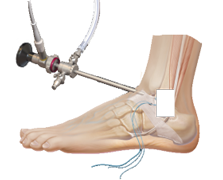 The ankle joint is examined with a small camera (arthroscopy) through two ‘keyhole incisions; at the front of the ankle. We are looking for cartilage damage and inflammed synovial tissue or scarring (synovitis) which can be treated at the same time. Occasionally bone spurs can be removed through these keyholes using a small burr. An incision is then made on the outside of the ankle where the ligaments (anterior talo-fibular ligament and calcaneo-fibular ligament) are identified and reconstructed using sutures and anchors into the bone. The reconstruction is usually augmented with a synthetic ligament ‘internal brace’ to prevent reinjury. The skin is closed and a cast is applied. You will have your foot elevated on 1-2 pillows to reduce swelling. The local anaesthetic will provide you with pain relief, but you may need to take medication for this as well. You will generally spend the night in hospital and you will be safe to ambulate on crutches as soon as you feel comfortable. You will need to take medications for pain relief and for DVT prevention (Clexane injections or Aspirin). The cast and sutures are removed at 2 weeks. You will need to have physiotherapy. Below is an estimate of your recovery. All surgical procedures carry some risk. The risk of complications with lateral ankle ligament reconstruction is low. Most patients benefit from surgery. A small number of patients can be made worse. You should weigh up the benefits with the risks prior to electing to have surgery.